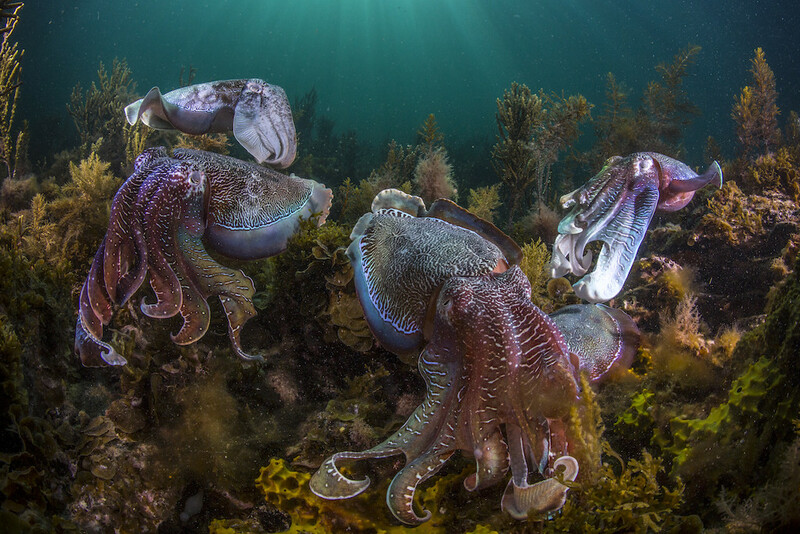 As sea temperatures rise so do squid, octopus and cuttlefish populations – they are one of the few species that appear to be thriving as a result of human-induced climate change, according to a study carried out by a team of international scientists from Australia, The Falkland Islands, Portugal, Spain and South Africa. Details of the study, led by scientists from the University of Adelaide’s Environment Institute, have been published in the scientific journal Current Biology. 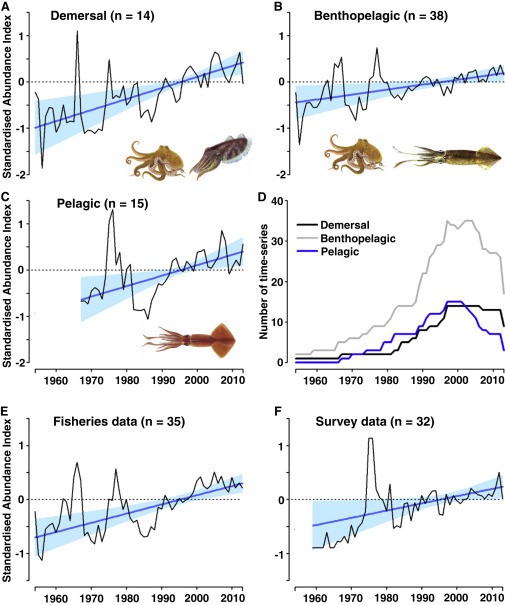 Dr. Zoë Doubleday, Research Fellow in the Environment Institute and School of Biological Sciences, and colleagues compiled a global database of cephalopod catch rates to determine what the long-term trends in abundance have been over the past six decades. Cephalopods are the largest of all molluscs and include cuttlefish, octopuses, squid and the chambered nautilus. These intelligent invertebrates have suckered tentacles, camera-like eyes, skin that changes colour, and complex learning behaviour. Cephalopods are among the most neurologically advanced of all invertebrates (animals lacking a backbone). Study leader, Bronwyn Gillanders, a Professor at the University of Adelaide’s School of Biological Sciences, and also Deputy Director of the Environment Institute, says that large-scale changes to marine habitats, brought about by human activities, could be helping push up global cephalopod populations. Cephalopods, of which there are more than 800 extant (existing) species, are found in all types of marine habitats. They live in most depths of the ocean, from the sea surface to the abyssal plain (from 3000 to 6000 metres deep). As well as being voracious predators, they are also a major source of food for several forms of marine life, and humans. Citation: “Global proliferation of cephalopods,” Antoni Quetglas, Warwick Sauer, Bronwyn M. Gillanders, Zoë A. Doubleday, Thomas A.A. Prowse, Alexander Arkhipkin, Stephen C. Leporati, Sílvia Lourenço, Graham J. Pierce, Jayson Semmens & Michael Steer. Current Biology. 23 May 2016. DOI: 10.1016/j.cub.2016.04.002. This California Academy of Sciences video explains how cephalopods change colours.